Anne Marchand explores a new vocabulary of color and texture in the swirling vortexes of nebulae and the surfaces of moons and planets, bringing these into her ongoing search for ways to approach mystic poetry through visual expression. The exhibition brings together works inspired by images from the Hubble spacecraft that relate to the artists theme of interconnections. 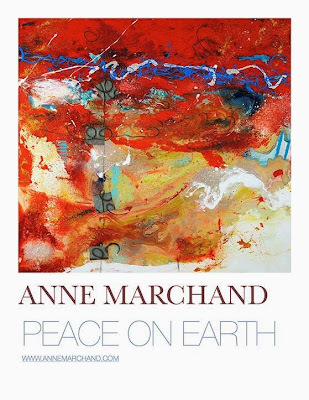 Anne Marchand is based in Washingon, DC. She was awarded an Artist Fellowship in 2014 from the DC Commission on the Arts and Humanities. Marchand has traveled widely including a Cap/MexEx Residency Grant in 2003 at La Escuela de Arts Jose Limon, in Culiacán, Mexico. She has designed and won mural competitions through DC Creates Public Art Program. Her Westminster Playground Mural in the Shaw neighborhood of Washington, DC was included in a Visions Award from the Committee of 100 to the Westminster Neighborhood Association. Her public art can be seen in Washington, DC and Arlington, VA. She currently exhibits work in galleries in New York City, Washington, DC, Maryland, Virginia, North Carolina, and California. 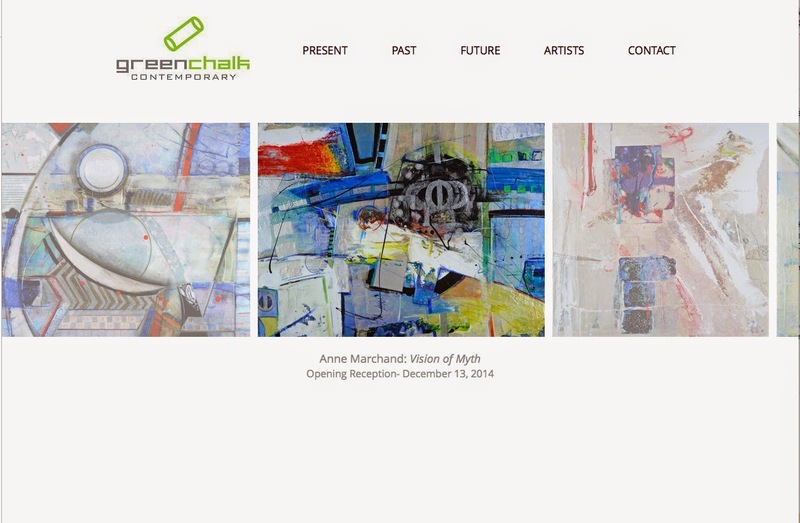 Founded in Monterey, California in 2013, the focus of Green Chalk Contemporary is to create a community around the celebration of the creative act and bring a select group of uniquely accomplished artists to an appreciative audience. Green Chalk Contemporary advances an uncommon opportunity for artists, curators and the public to discover, to learn, and to acquire contemporary artwork. Happy New Year's Day to each and everyone of you, all around the world!